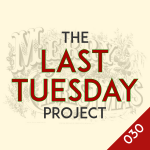 A quick snip, stitch it all together, and you've got another extra episode of The Last Tuesday Project! There's pain and then there's pain! 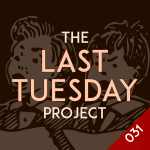 Welcome to a slightly uncomfortable episode of The Last Tuesday Project! 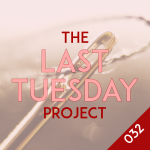 Singing for our supper and talking the hind legs off a donkey (no donkeys were harmed in the making of this episode), it's time for a particularly random extra episode of The Last Tuesday Project! Hush, keep very still, for the strangest things are about to happen... And now SING AS LOUD AS YOU CAN! 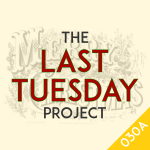 It's The Last Tuesday Project! 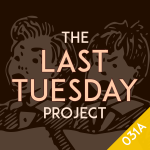 It's a new year, but we're not quite done with the last one yet. 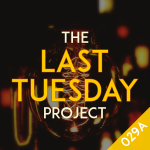 Welcome to this month's TWOsday episode of The Last Tuesday Project. 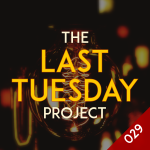 We know this TWOsday episode will soon be superseded, so make the most of this extra bit of fun from The Last Tuesday Project!